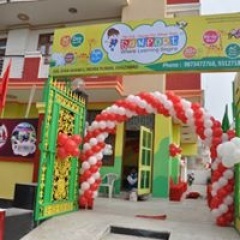 SANFORT - The U. K. Concept Preschool Chain is ventured by SAR Edutech Ltd, an organization pioneer in education. 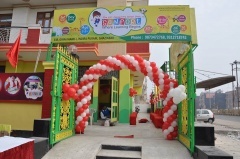 The organization is managed by a team of highly qualified, dedicated and experienced educationists and professionals who have taken initiative in making SANFORT a dream place for young children. 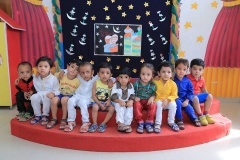 We believe that children need a safe, clean and supportive environment in which they can grow and learn. Our goal is to encourage young children to learn how to learn and to nurture the widest range of interests for new ideas and possibilities. Our faculty and staff integrate diverse learning backgrounds and styles to create a varied teaching and learning environment within an innovative curriculum. Educational tours is a part of SANFORT Curriculum, we take our students to various place like Post Office, Bank & ATM, Fruit & Vegetable Market.